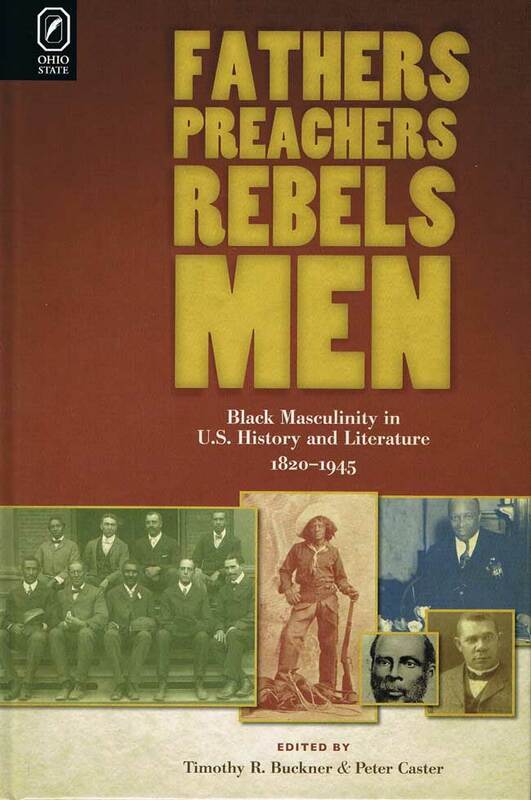 Fathers, Preachers, Rebels, Men: Black Masculinity in U.S. History and Literature, 1820–1945, edited by Timothy R. Buckner and Peter Caster, brings together scholars of history and literature focused on the lives and writing of black men during the nineteenth and twentieth centuries in the United States. The interdisciplinary study demonstrates the masculine character of cultural practices developed from slavery through segregation. Black masculinity embodies a set of contradictions, including an often mistaken threat of violence, the belief in its legitimacy, and the rhetorical union of truth and fiction surrounding slavery, segregation, resistance, and self-determination. The attention to history and literature is necessary because so many historical depictions of black men are rooted in fiction. The essays of this collection balance historical and literary accounts, and they join new descriptions of familiar figures such as Charles W. Chesnutt and W. E. B. Du Bois with the less familiar but critically important William Johnson and Nat Love. The 2008 election of Barack Obama is a tremendously significant event in the vexed matter of race in the United States. However, the racial subtext of recent radical political movements and the 2009 arrest of scholar Henry Louis Gates, Jr., demonstrate that the perceived threat posed by black masculinity to the nation’s unity and vitality remains an alarming one in the cultural imagination. Timothy R. Buckner is assistant professor of history at Troy University. Peter Caster is associate professor of English at the University of South Carolina Upstate.